Meet PC Rob Evans, of Leicestershire Police. He works on the St Matthew's Estate, located near Leicester city centre. "It's quite a small multicultural estate and it's a great place to work," he says. "Historically, one of its biggest challenges was deprivation. "It's had its troubles in the past but it's much better now." For Rob and his team, building friendships with young people is a key part of their aim to improve and maintain community cohesion. Playing a big role in this work is Premier League Kicks. 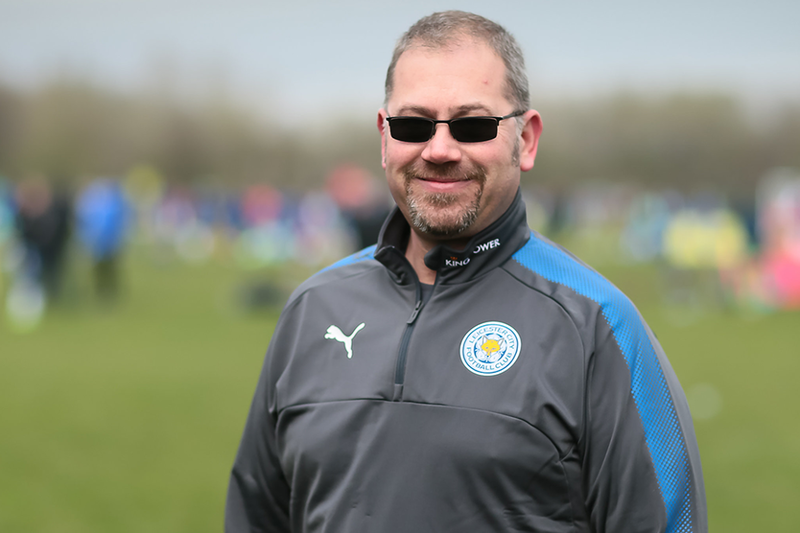 For the last two years, Rob has used a Kicks project, run by Leicester City Community Trust, to talk to young people on the estate to understand their problems and to hear their hopes. "We'll go along to some of the events and training sessions and we’ll talk about knife crime or drugs," he says. "We'll take their questions, have a chat and we'll watch the guys play football." By using football to engage young people in positive activities, Kicks has broken down barriers between them and the police, says Rob. "Ordinarily, some of these youngsters wouldn't talk to the police," Rob says. "They would have ignored us. "When we are walking around the communities, some of the guys who are on Kicks recognise us as being part of it and will come up and greet us. "We spend our time with them, that wouldn't happen normally, and we are building up friendships. "To be invested in and listened to is a huge thing for these youngsters. We can see the benefits of PL Kicks now and it's going to pay dividends for the country as a whole. "Kicks has provided them with a lot more opportunities that they wouldn't have had. "We have seen the improvement, we've seen what difference it can make to people's lives. Some of the guys on the course have gone into employment or university and have degrees." Rob has seen the impact Kicks has had on the wider community in Leicester. "People are beginning to trust the police more and we are far more approachable," he says. "We want people to be able to come to us. 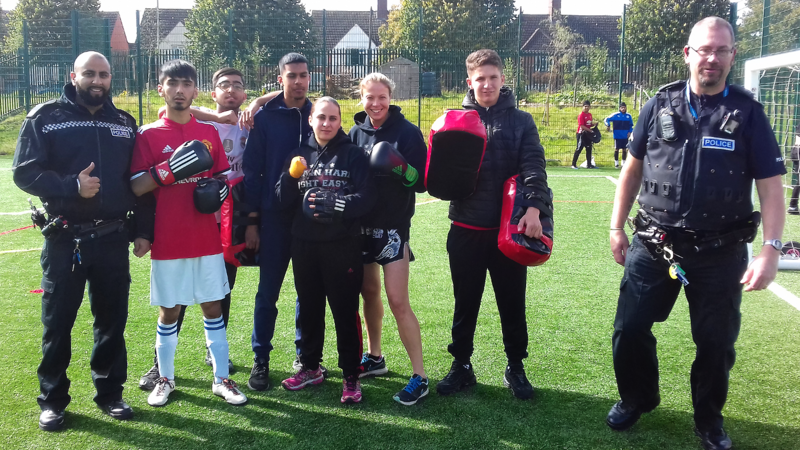 "The area has improved and Kicks is helping getting young people off the streets, giving them the chance to meet other people, learn how to behave and communicate. "If we didn't have Kicks, what would these people be doing? What other opportunities would they potentially have? This has bridged a huge gap."